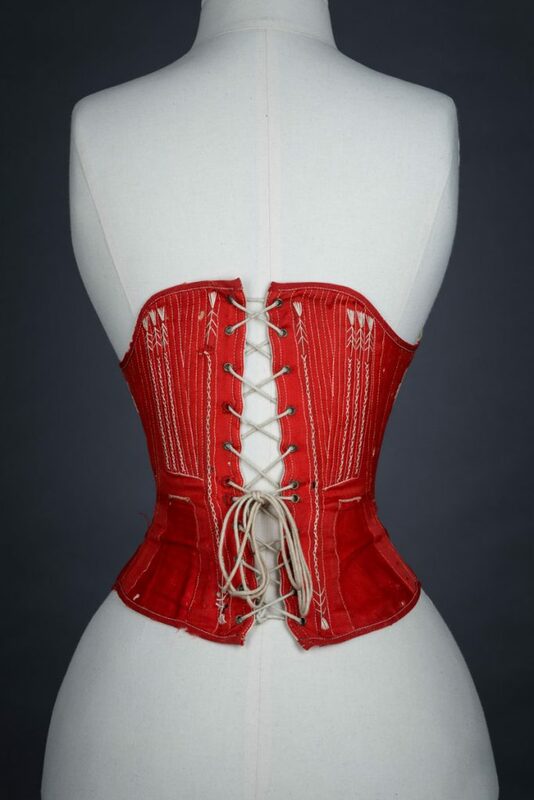 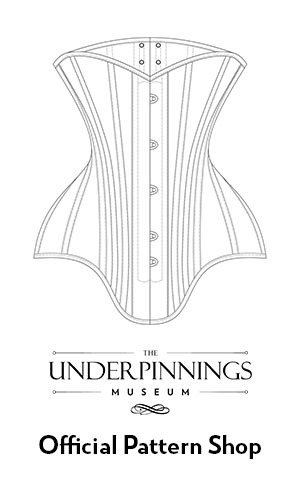 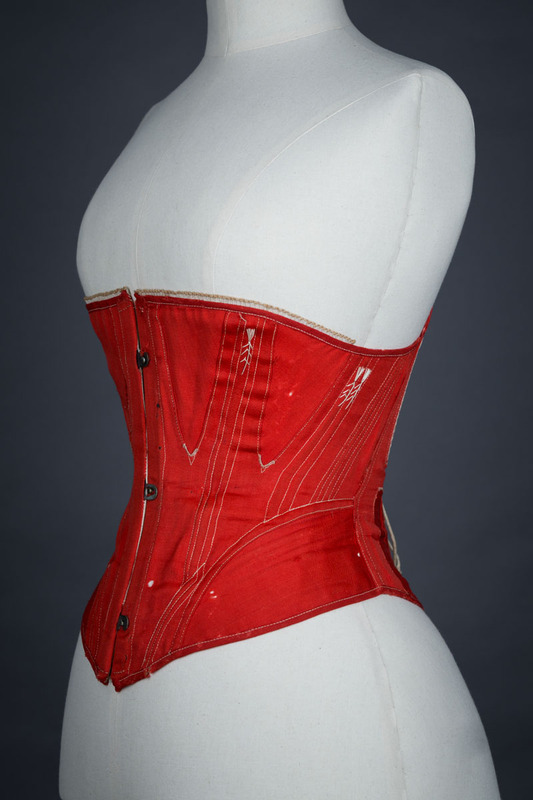 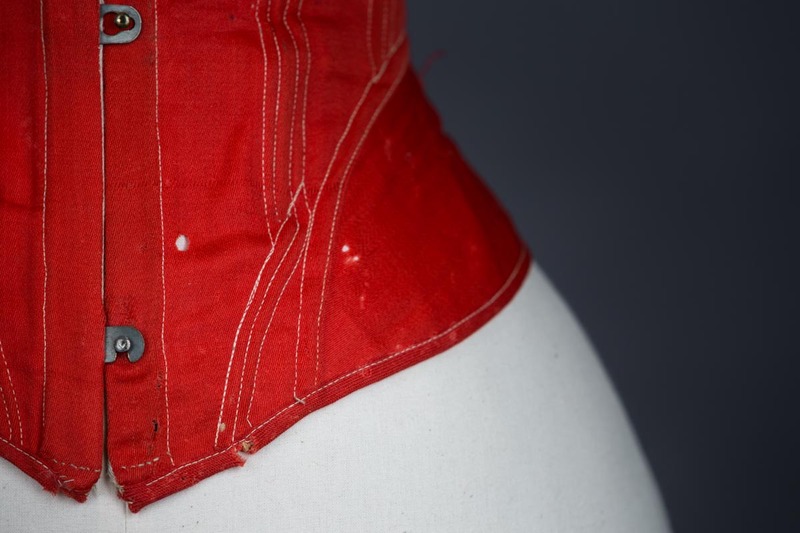 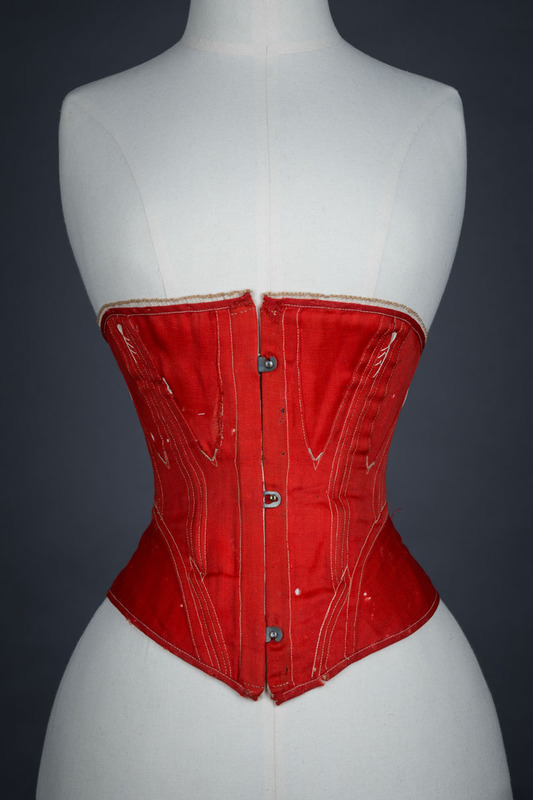 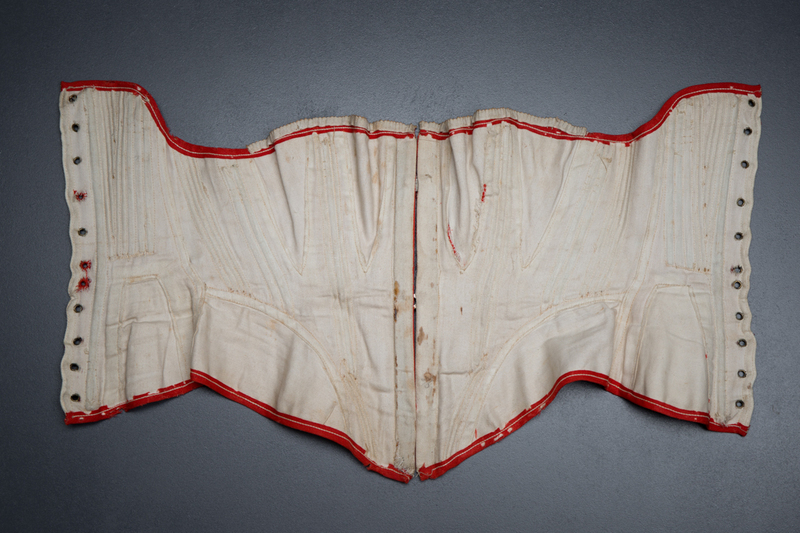 This corset boasts a typical 1860s silhouette, with its relatively short height (measuring just 29cm at the centre front), gored bust and hip pattern, and relative lack of structure. The corset is lightly boned with baleen in a number of vertical channels, with approximately 7 bones per side and a few channels of light twine cording. 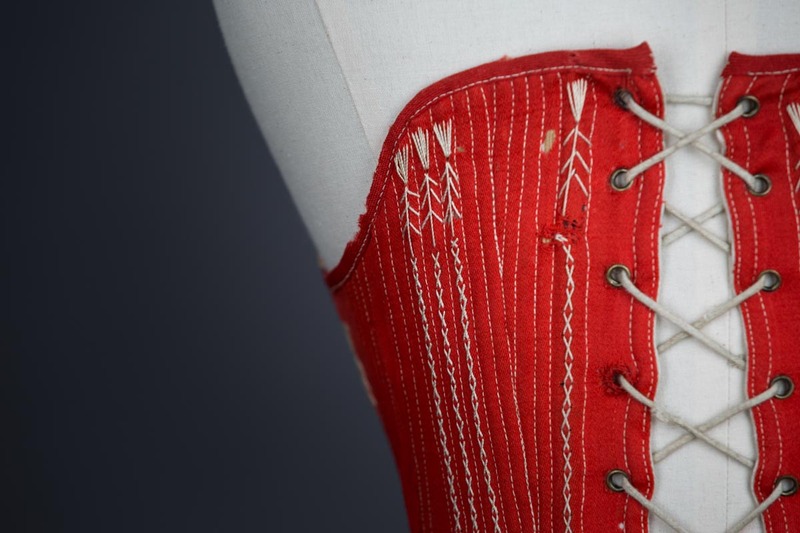 Boned channels are decorated with hand sewn flossing embroidery, to help secure the bone. 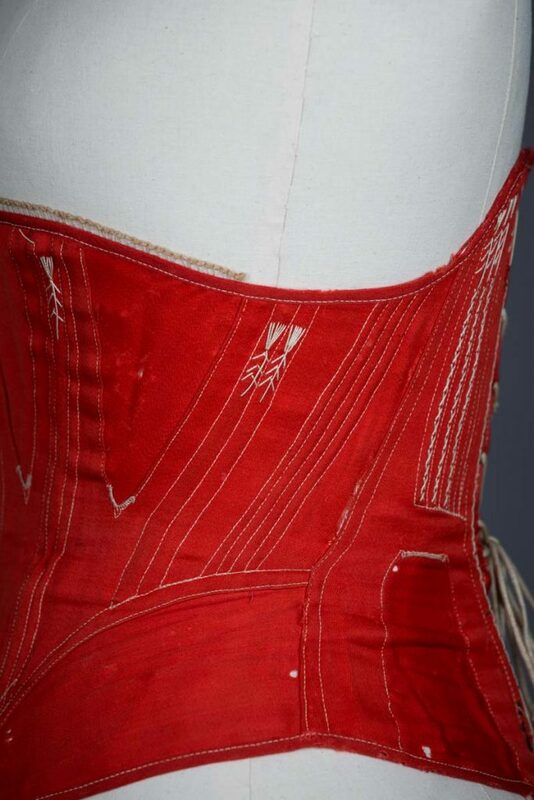 There are also areas of re-enforcing flossing embroidery at the gore points. 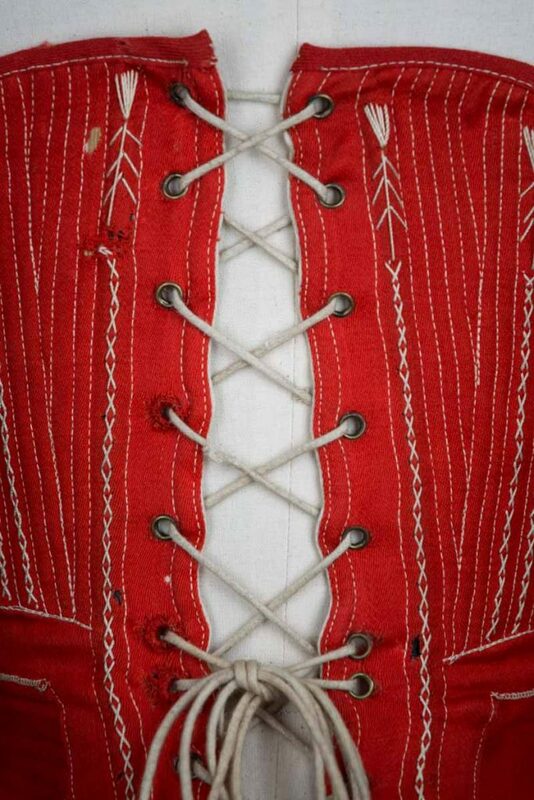 The corset is well worn, with a number of hand sewn repairs at stress points (such as around the busk and gores). 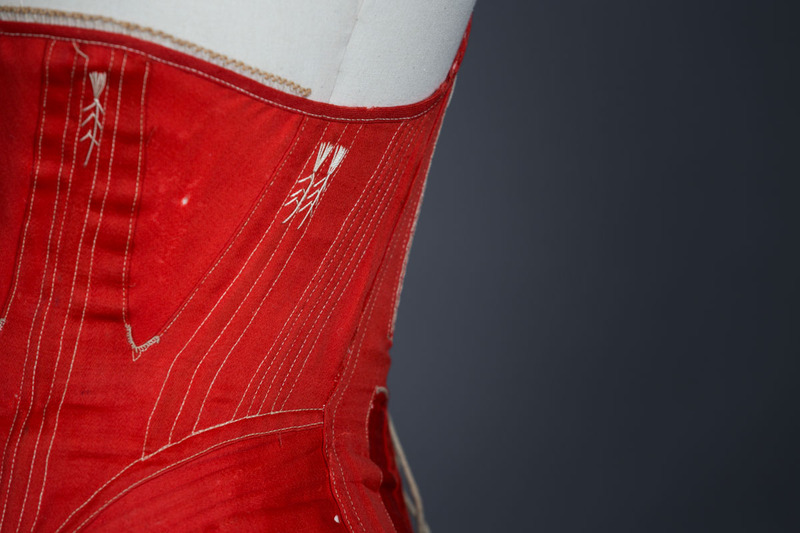 The corset is largely machine sewn with contrast white thread, though stitching does not appear to be entirely accurate throughout. 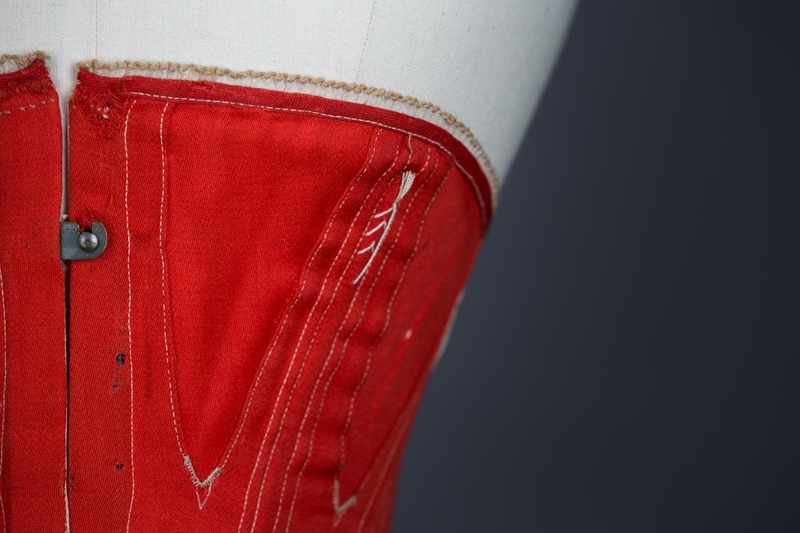 The top and bottom edges of the garment are bound with a red cotton tape, with a small portion of embroidered cream trim at the bust line. 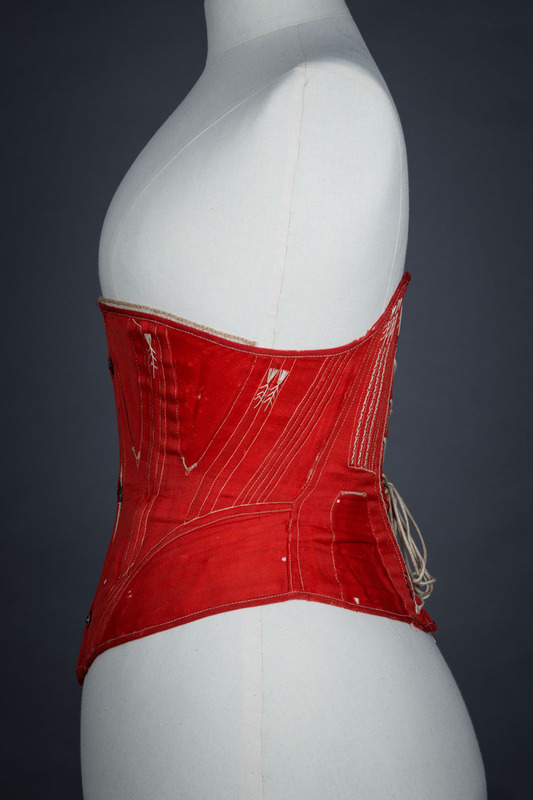 The garment fastens at the centre front with an unusual 3 loop and pin busk. 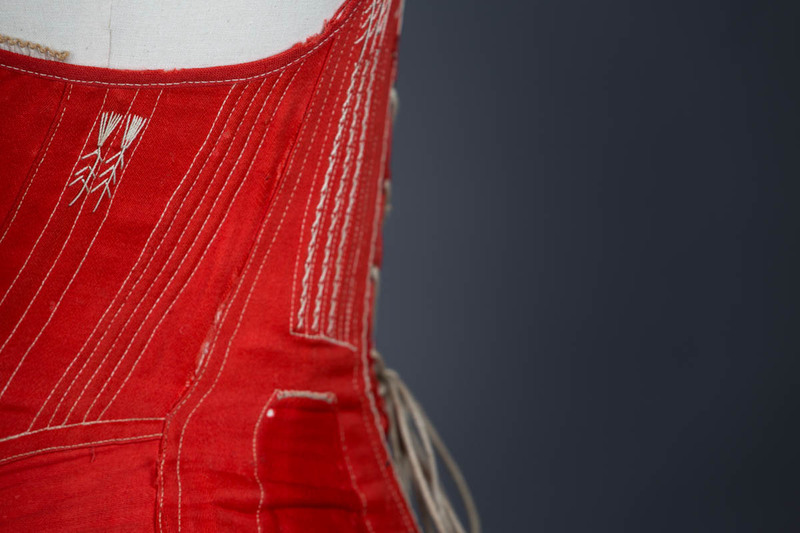 The top and bottom loops are hooked rather than a closed loop. The back fastens with single part eyelets and original lacing.